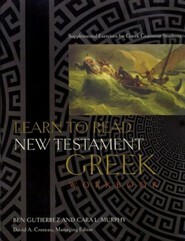 Black's classic 17-lesson introduction, now updated for the first time in fifteen years enables beginning students to understand New Testament Greek, use commentaries and other tools based on the Greek text, and discover the scintillating life of study in the Greek New Testament. Black does an oustanding job of describing and teaching the reader about technical elements without assuming they are understood. Revisions include updated scholarship, enhanced vocabulary references, and additional appendices. 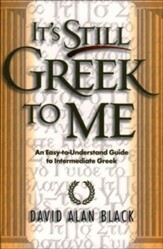 Ideal for classroom or, unlike most grammars, for individual use. 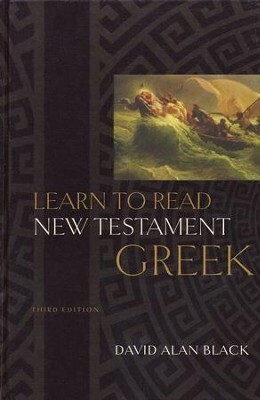 An academic staple updated for the first time in fifteen years, David Alan Black's user-friendly introduction to New Testament Greek keeps discussion of grammar as non-technical as possible. The simplified explanations, basic vocabularies, and abundant exercises are designed to prepare the student for subsequent practical courses in exegesis, while the linguistic emphasis lays the groundwork for later courses in grammar. Revisions to this third edition include updated discussions and scholarship, further back matter vocabulary references, and additional appendices. "A streamlined introductory grammar that will prove popular in the classroom." "Clear charts, clear examples, clear discussion—what more could one want from a beginning grammar!" " . . . combines the strengths of a fairly traditional sequence of topics, in generally manageable chunks with clear explanations fully abreast of modern linguistics." 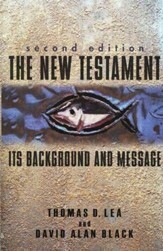 "Pedagogically conceived, linguistically informed, hermeneutically sensitive, biblically focused—unique among beginning grammars. It sets a new standard." 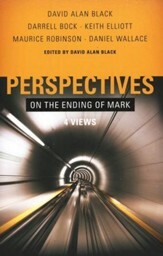 David Alan Black is professor of New Testament and Greek at Southeastern Baptist Theological Seminary in Wake Forest, North Carolina. An avid horseman, he and his wife live on a 123-acre working farm in southern Virginia and are self-supporting missionaries to Mecklenburg County, Virginia, and Ethiopia. I'm the author/artist and I want to review Learn to Read New Testament Greek, Third Edition.